When you have a metal detector and going to a little walk you never know what you will detect and find. But you should take care about your finds and understand, that some finds must be returned to the government of your country, because it is old and historic relic, even more if you have found it in a good condition like it is found below. 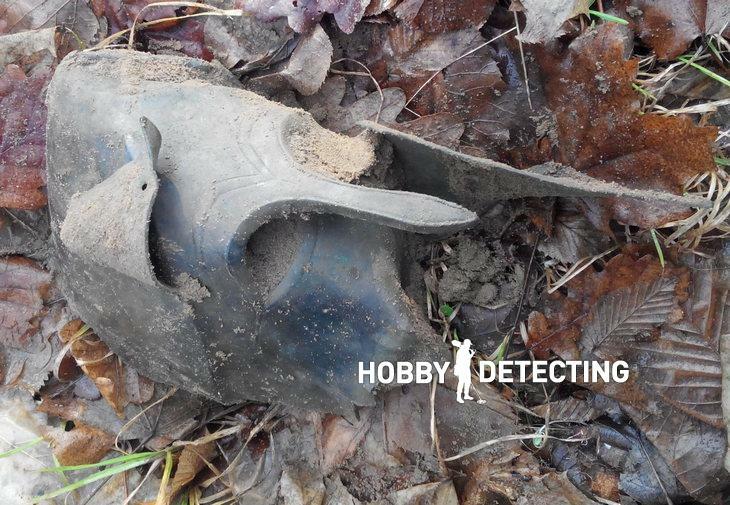 One guy from Ukraine (country in Eastern Europe) went to new place and found a Hoplite helmet in a forest. 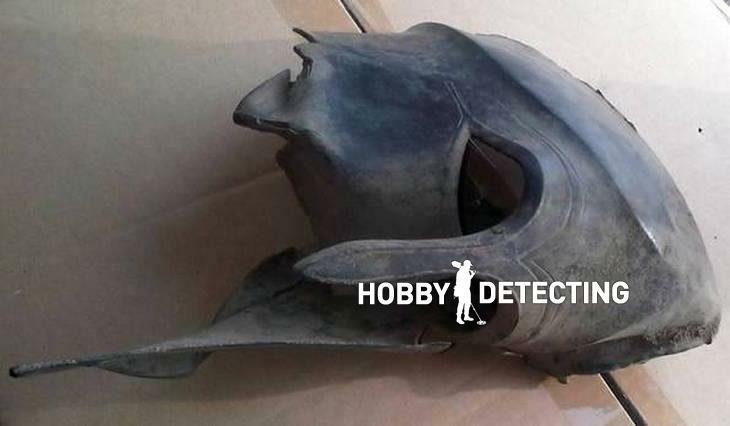 I have no much data about what signal Garrett ACE 250 showed and how he discovered it, but, of course, it is Ukraine and unknown guy made a photos at home and placed it in online auction to sell it for well bid, yeah. He started with $11,765 bid, but had no success to deal with buyer. What is going on now nobody knows, maybe this guy is dead or got some problems with health, it is Ukraine, you know. If you know more about this story let me know and I will update with your info. 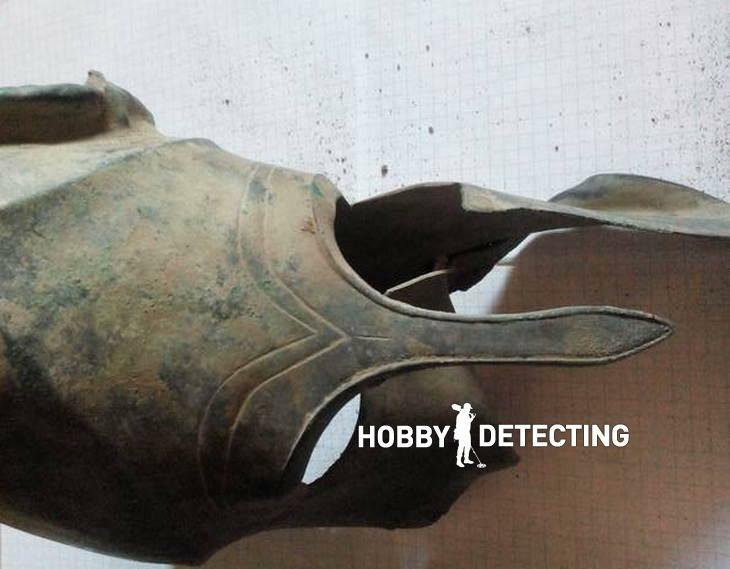 Oh dear, I think such finds must be donated to government and officials, for sure, because old Hoplite (Greek soldier) helmet in such good condition must be renovated, for sure, and placed to museum. Have you found any interesting with your Garrett ACE 250? Let me know! All news about finds is placed here.